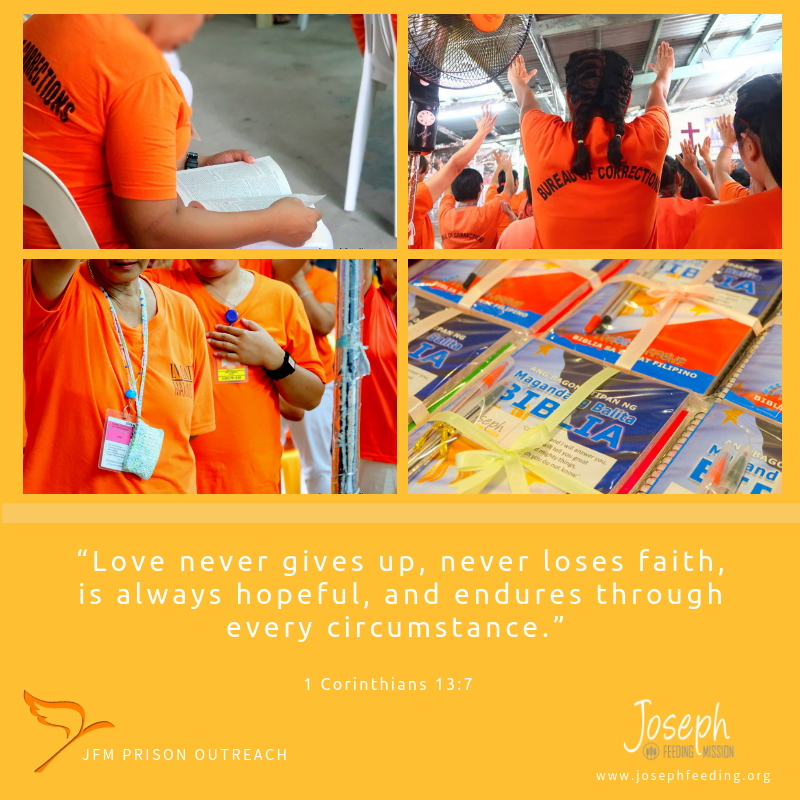 We hold on to this self-sacrificing kind of love modeled by God Himself through Jesus and we wish to invite you, our JFM Partners to help us continue this DAILY task of passing on God’s LOVE to these children & their families. WE NEED YOUR HELP so can continue to care for the poor — all for God’s pleasure & glory. We believe that the burden becomes lighter when God’s people help one another. He promised, our labor will never be in vain & He will bless the works of our hands. 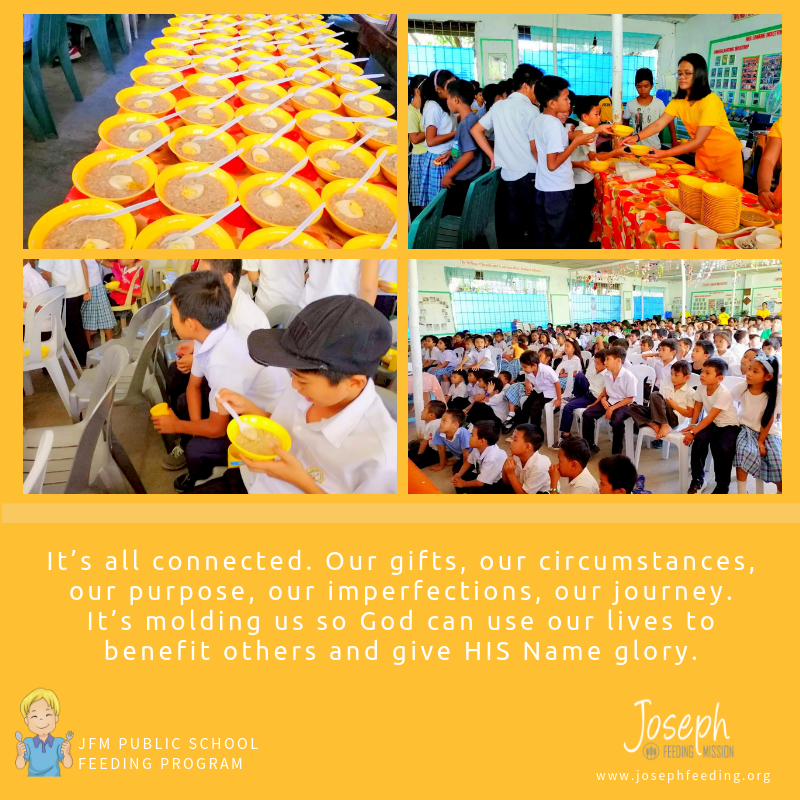 Since 2016, JFM Foundation has provided FREE freshly-cooked Meals EVERYDAY to 100 public school students who are either undernourished or from underprivileged families. 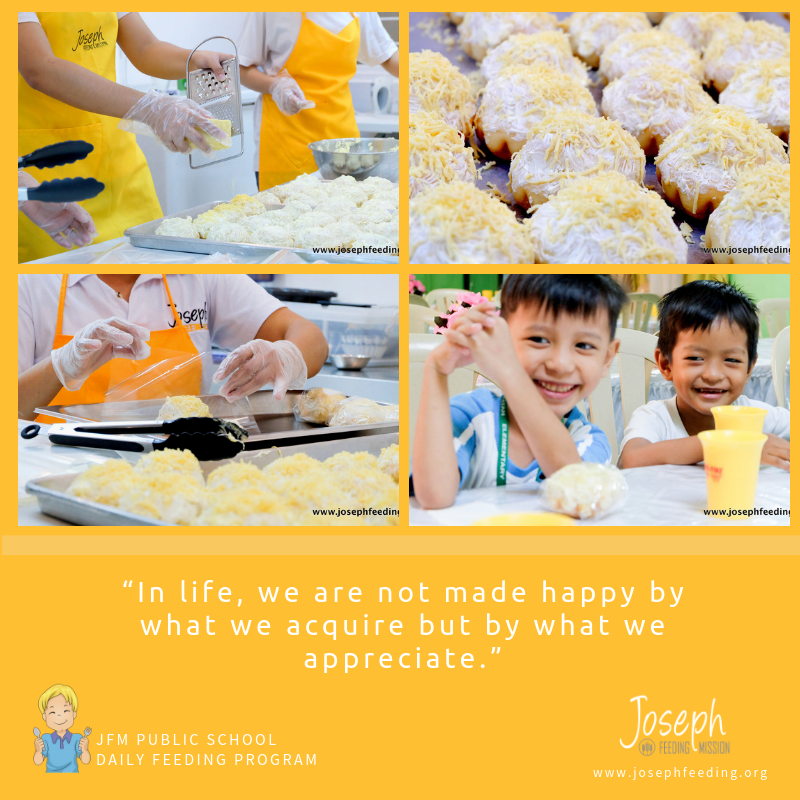 Our Daily Feeding Program aims to help students eat well, stay physically active and be better prepared for a whole day of learning. We also wish to help ease the additional financial burden of parents by shouldering their kids “school baon” everyday. You too can become a JFM Partner! 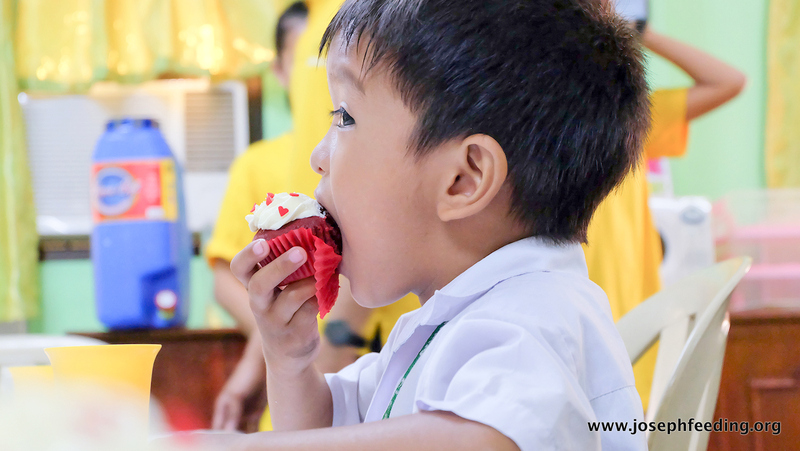 For as low as 200 a month, you can help provide a student’s Healthy Baon everyday! Please click HERE to know the ways how you can help. Remember, you are not only helping the child but the whole family who will be affected by your love and concern. Thank you in advance & God bless you!